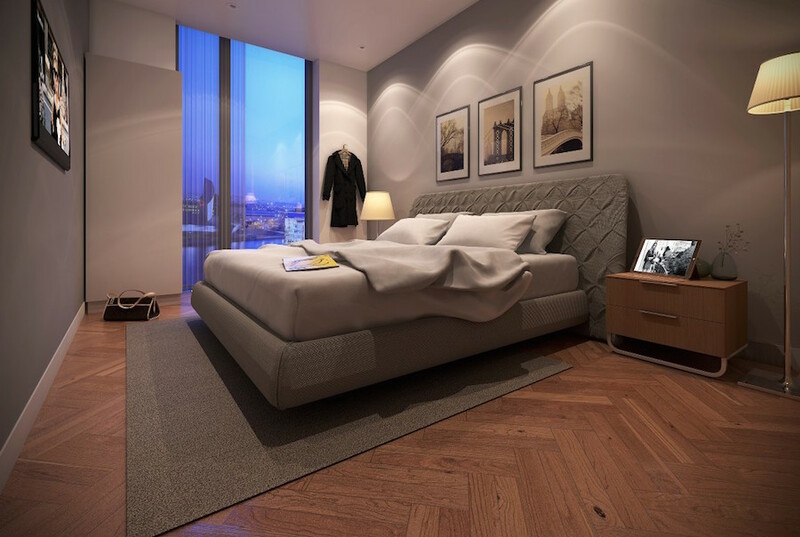 Impressive investment and residential flats for sale in Salford, Manchester, one of the top opportunities that you will find in the North West of England today – these luxury homes form part of a significant project of four glass towers and are perfectly located close to Manchester City Centre in Salford Quays. 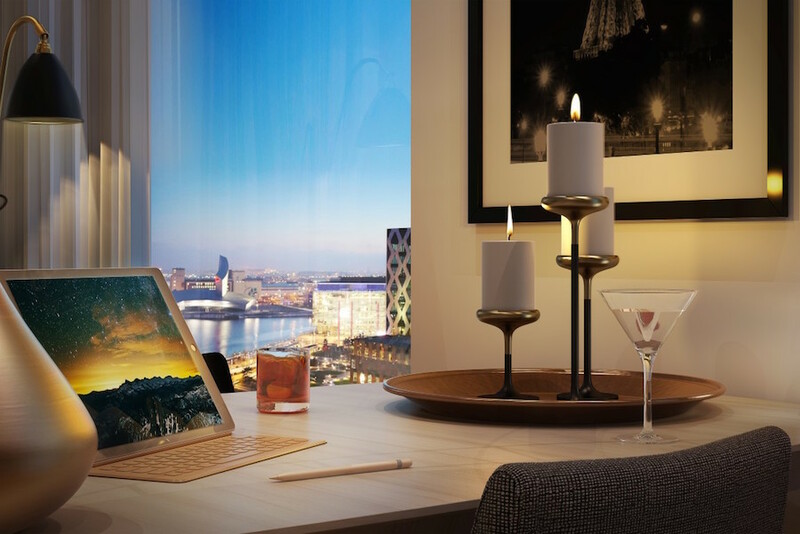 One of the most exciting projects in the entire city, this development captures the imagination with ground-breaking design and ticks all the boxes of investors as well as potential renters – highly recommended for viewing by Property UK. 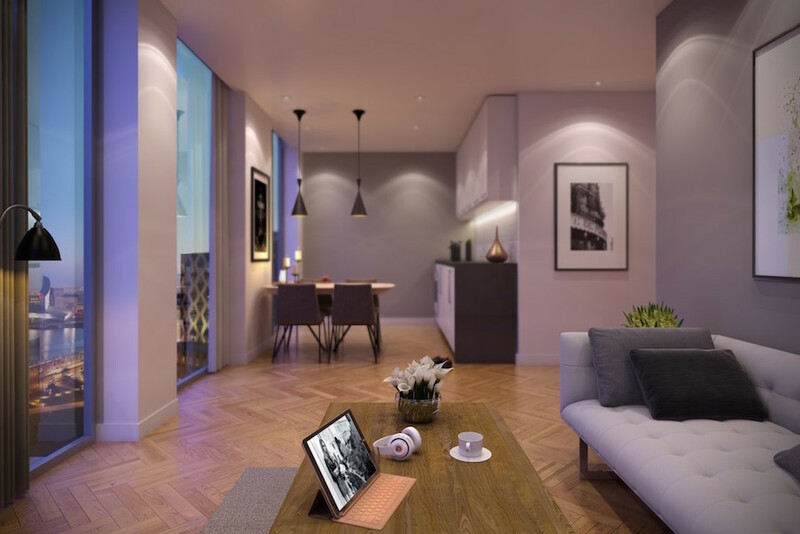 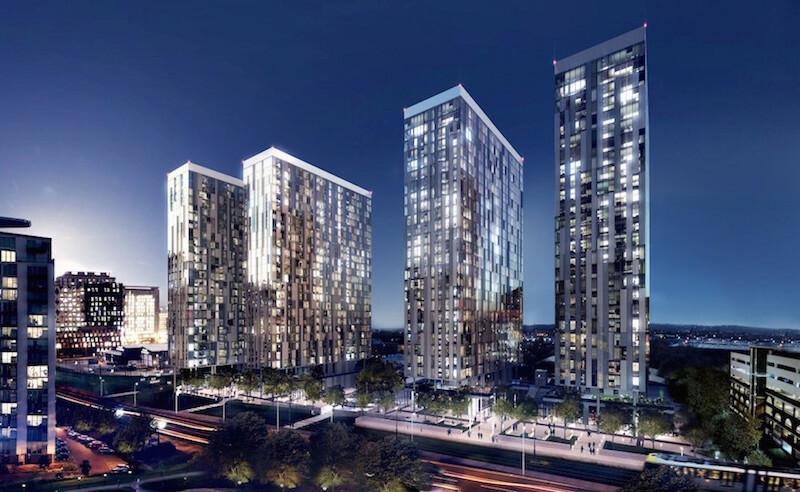 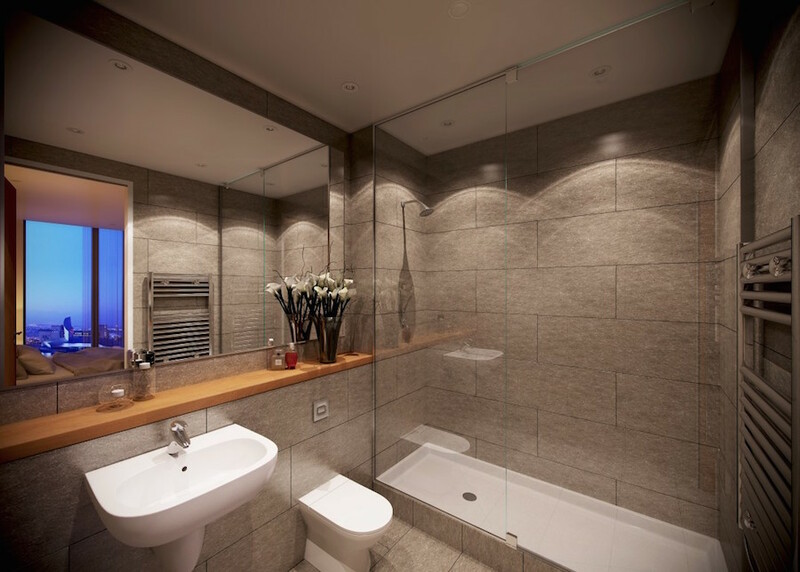 Designed by one of the most sought after construction companies in Manchester with years of experience, the project consists of four tower buildings and offers a total of 275 residential homes for sale. You will find properties ranging from studios for investment, up to large two bedroom apartments for family living. 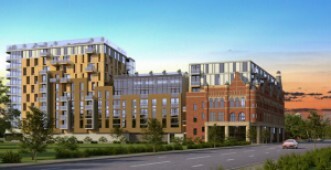 Currently entering its final phase, the development has a completion date set for the end of 2020, buy today at the best prices. 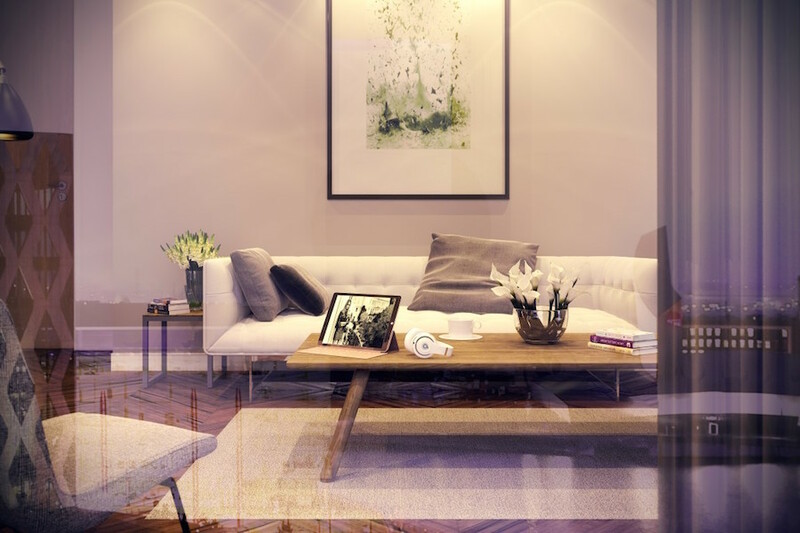 Rental income is expected to fetch in the region of 6% per annum net yield, depending on location within the building, size of the unit, and final price paid by the investor. Contact us for more information and answers to any questions that you may have. 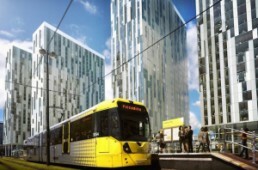 The project has been strategically located within Manchester to offer a completely lifestyle experience, within walking distance and in the immediate surroundings you will find a vast range of facilities including: daily shops and supermarkets, international quality restaurants, busy bars and clubs, and lots of public transport for commuting around Manchester. 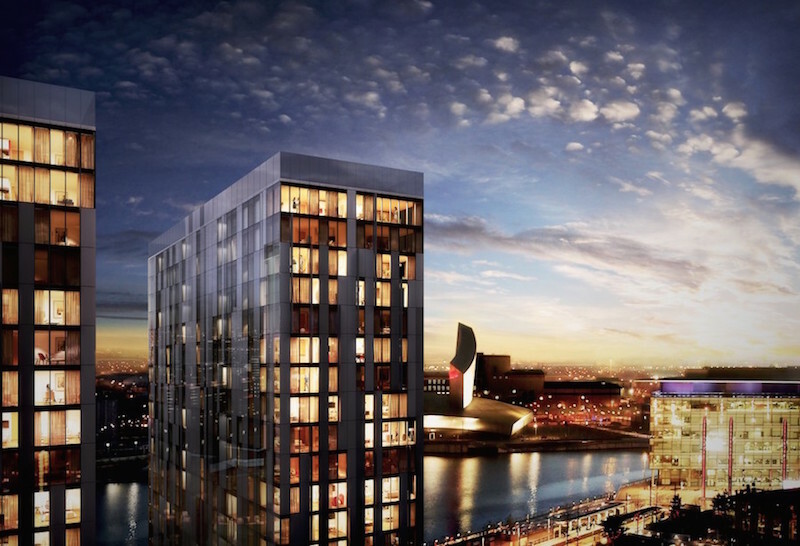 Some of the cultural highlights that are within walking distance include the famous Lowry Theatre and the educational Imperial War Museum North. 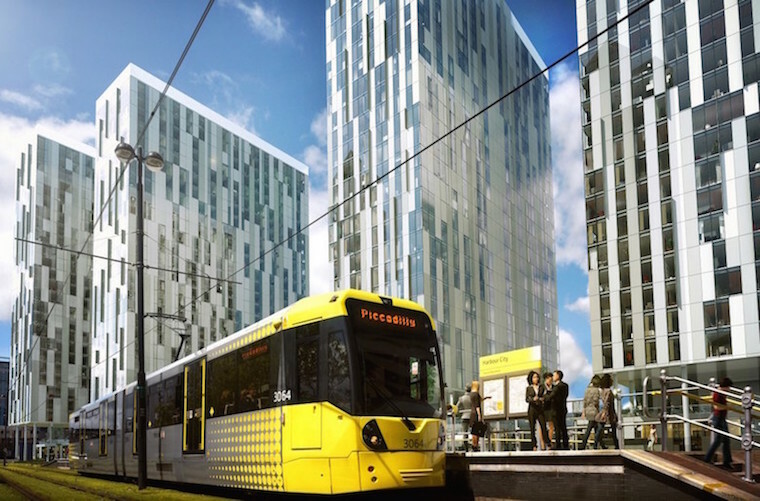 The development is close to Harbour City Metrolink tram stop, giving you an incredibly easy journey into the city centre of Manchester within a matter of minutes, making it a great setting for an investor looking to rent their home, or someone looking for a lovely area in Manchester to live. 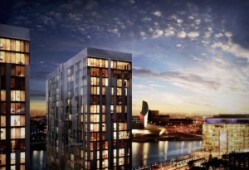 Overlooking MediaCityUK, the flats are just a short distance away from the first purposely constructed media, communications, and technology hub in all of Europe – this is advantageous as there is a huge potential pool of renters working here for companies.